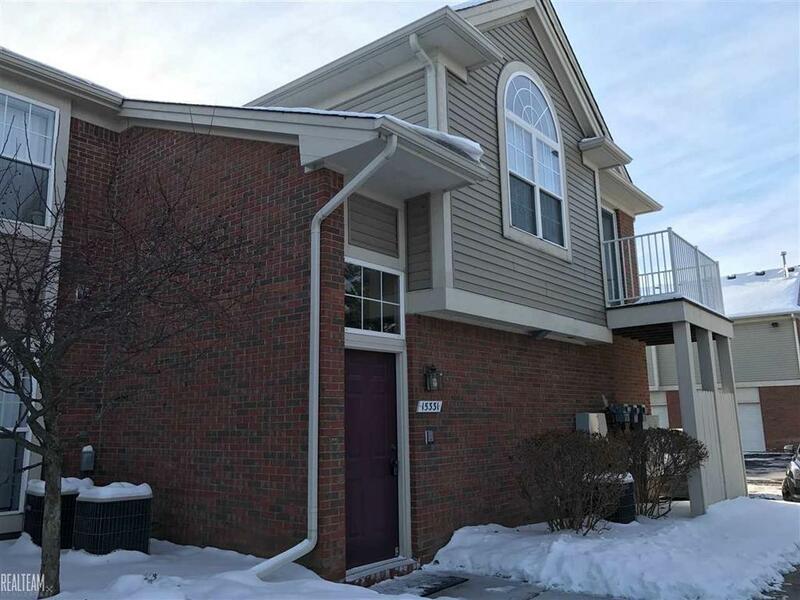 This 2 bed/2 full bath upper unit condo is the perfect 1 year lease! Tastefully decorated it will be sure to compliment all of your furniture! Unwind in the large family room where you can cozy up next to the gas fireplace and the large windows allows the natural light in. The kitchen overlooks the living room and offers tons of cabinet space with all appliances included! There is carpet throughout which leads you to the spacious master bedroom featuring great closet space, private master bath, and a convenient door wall leads you out to your exterior balcony, where you can sip your morning coffee! Minutes from shopping, restaurants, and highway access you will love the location of your new home! This condo will be freshly painted prior to the new tenant moving in!